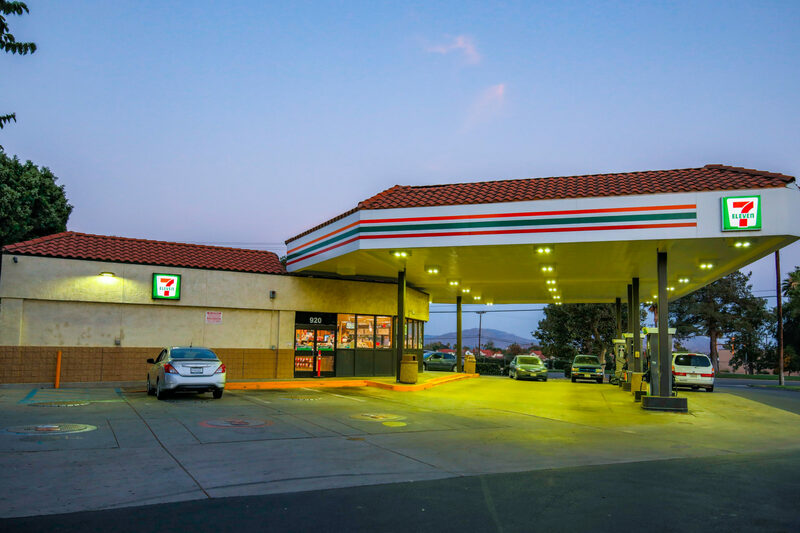 This is the opportunity to purchase a 3,090 square-foot absolute NNN leased 7-Eleven in Rialto/Bloomington, California. The tenant has a new 15 year lease with 10% increases every five years and four, 5 year options to renew. 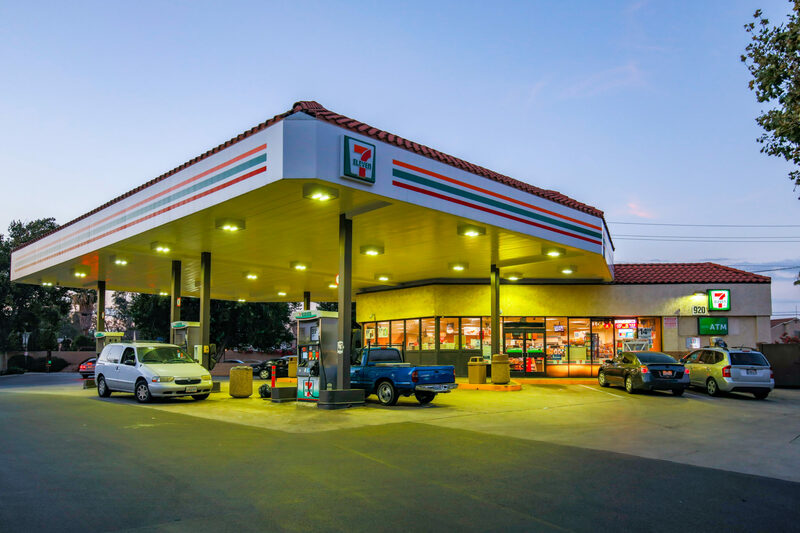 The lease is corporately guaranteed by 7-Eleven and calls for zero landlord obligations. 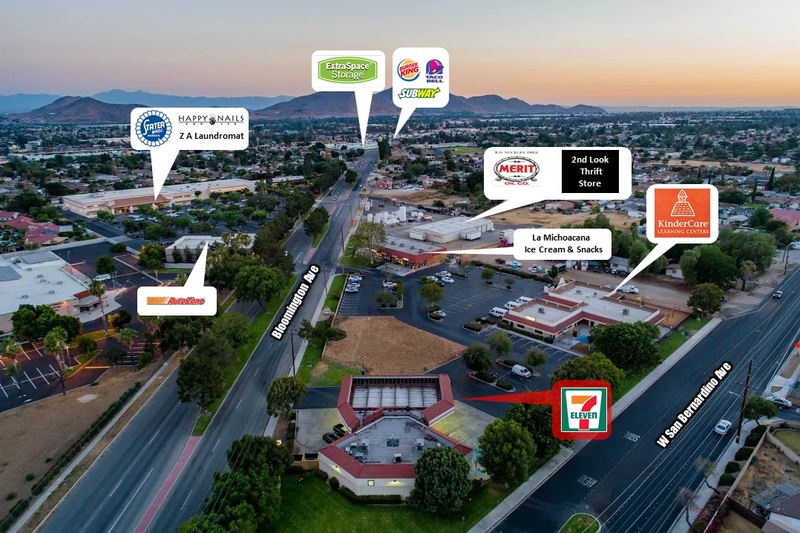 The site is strategically located at a signalized intersection just off the 10 Freeway. 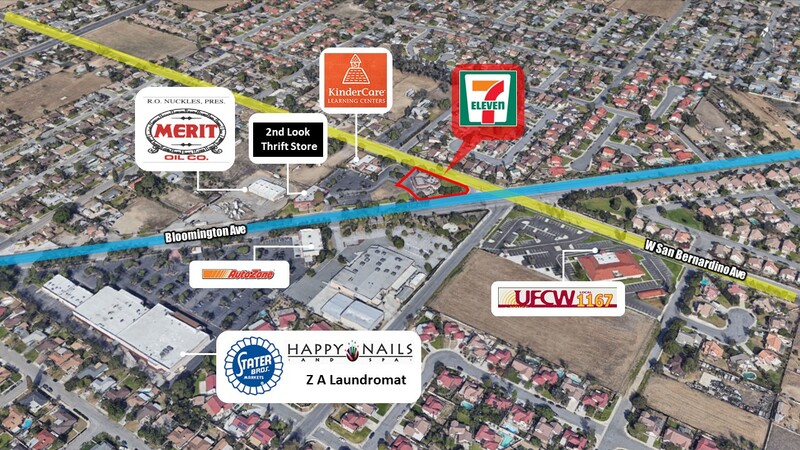 The property is also nearby several national retailers including AutoZone, KinderCare, and United Food. The location features 3 MPD’s (6 pump handles).